Get Set to Go can help you find the physical activity that’s right for you and help you stick at it for long enough so you can feel the physical, social and mental benefits of being active. We are working alongside Active Humber to help local people to try new sports and activities, to help improve their physical and mental health. 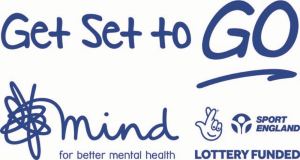 Through this work, We will be supporting people experiencing mental health problems – such as depression and anxiety – to build their confidence to join sports clubs, go to the gym or take up a new sport such as tennis, running or fitness activities to name a few. As part of the programme, there will be a number of taster sessions over the coming months where you can try out different activities and see what suits you. There will also be 12 week-programmes running including tennis with Advantage Tennis Coaching, walking or running with Fitmums & Friends, fitness in KCOM Craven Park with Hull KR Community Trust, multi-sports and football sessions with Tigers Trust and various others with Hull Culture and Leisure and Hull FC. The programme is funded by Sport England and the National Lottery.